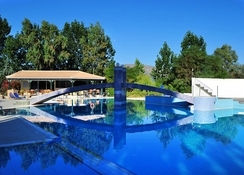 Location ILARIA 4*hotel is situated between the villages of Kalamaki and Laganas, by the National Marine Park of Zakynthos. 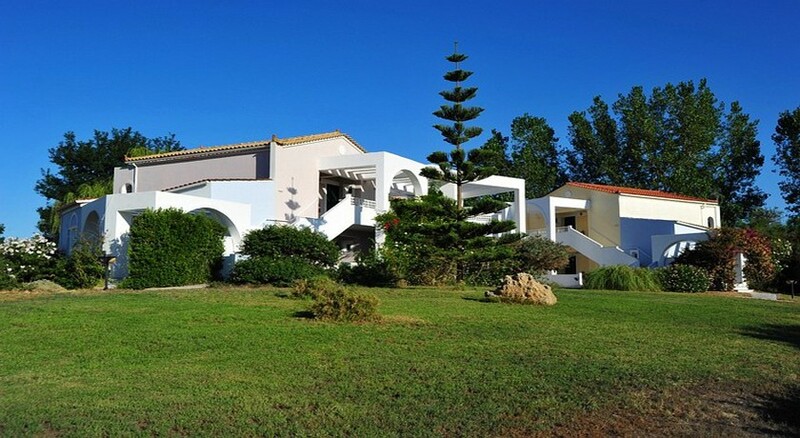 Lying between the lively resort of Laganas and the quieter resort of Kalamaki, it is the perfect choice for those seeking a quiet place to relax or party as it is only a few minutes away from the center of Laganas, famous for its nightlife. Facilities The hotel features a 24-hours reception, with its satellite TV lounge nearby and a table tennis. The hotel is wheelchair accessible and is set in landscaped gardens. Currency exchange service , internet access as well as an outdoor amphitheatre and spacious private outdoor parking are also available. Rooms The 3 separate 2 floored buildings host 38 spacious rooms all with balcony or terrace, A/C, twin or double beds, bath or shower, TV set , direct dial phone and fridge. Safe deposit boxes are also available on request. Sports / Entertainment The hotel features an outdoor swimming pool with spectacular bridge and children’s pool and playground free sun loungers and umbrellas and poolside snack bar serving refreshments and snacks. Meals Breakfast and dinner are served in the main restaurant. Payment All major credit cards are accepted as form of payment.